Is there such a thing as “Concert Envy”? See, my wife just loves to tease me with the fact that SHE got to see Michael Jackson on his tour after the release of the “Thriller” album, and I… did not. But I’ve got something over her too – I record with the same mic that Jackson used for most of his “Thriller” vocals… the Shure SM7B!! Of course, it’s not the EXACT same mic that he used. Engineer Bruce Swedien or Producer Quincy Jones probably has that, and, man… could they sell THAT for a lot of money!! The SM7B has a long, rich history in pro audio. It was first introduced in 1976 as a step up from the SM57, and as a smaller design than the SM5, a widely used broadcast mic. There are some who dismiss this mic because it’s a dynamic and not a condenser, but the word is quite widespread on the street that the SM7B is without question a quality option for any serious audiophile’s mic cabinet. 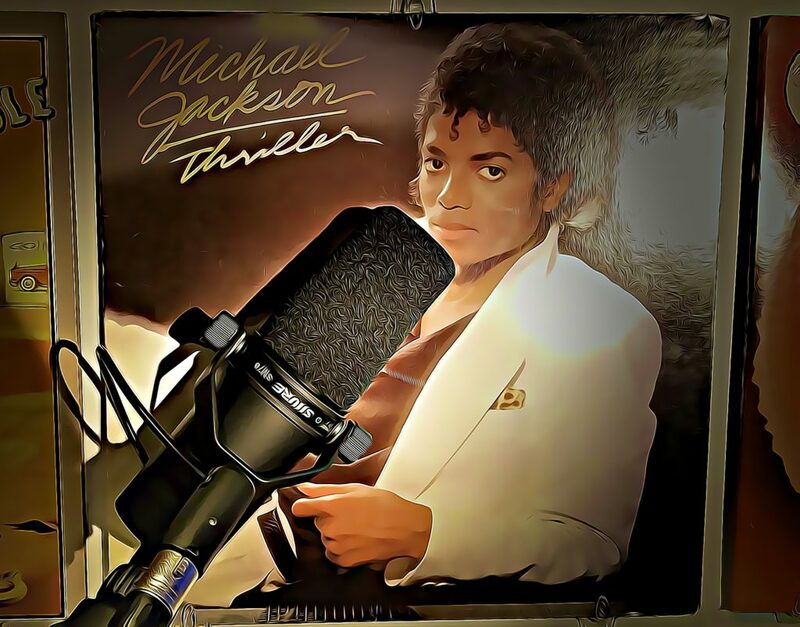 Humor aside, the popularity of this mic has not waned since the 80s, probably bolstered by the “Thriller” association that makes anything linked to it seem more important. That album continues to be a juggernaut in popular music’s influence. In any case, I thought I’d put this mic through its paces in the studio and give us some sound bites so we can all decide whether the hype is well-founded or not. Cartridge Shock Mount: Internal air-suspension shock & vibration isolator. 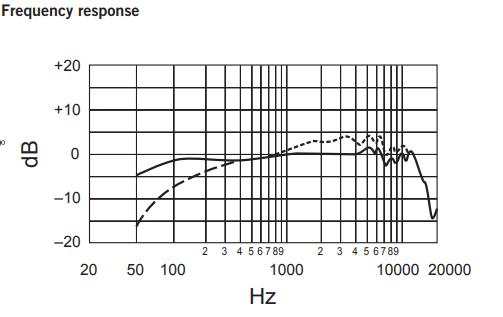 Impedance: 150 ohms for connection to microphone inputs rated at 19 to 300 ohms. Knowing these facts helps us choose mics appropriately. If we consider what instrument we need to pick up, and how the response and polar patterns will either flatter, or worsen, the instrument’s most appealing characteristics, we’ll always have “the right tool for the job”. And THAT will mean… an excellent recording. See? Even the dullest of specs can be pretty exciting when they’re working for YOUR music! So are we hearing the SM7B on the entirety of Michael’s “Thriller” album?? Not exactly. 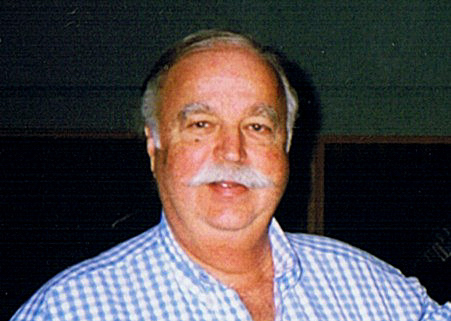 First off, Bruce Swedien, the engineer for the project, was using the SM7 at the time, which was the original iteration of the mic. 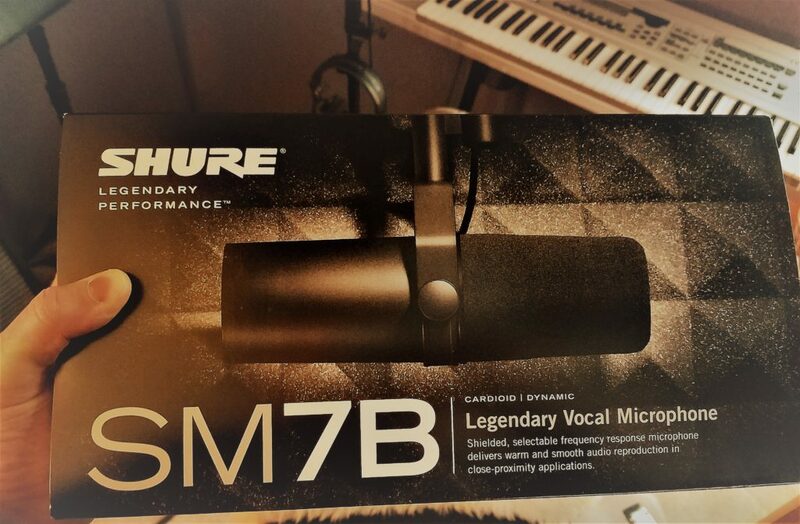 The SM7A, then the SM7B, followed from Shure some years later. 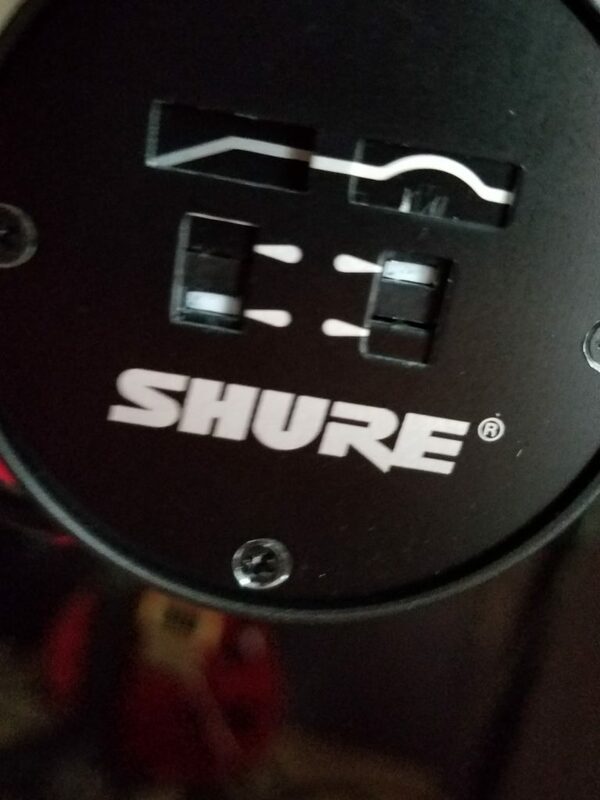 Now, according to Shure, all three versions of the mic sound acoustically identical. Swedien, however, begs to differ. He says he can hear the difference. Given the high caliber of the products he’s put out, I tend to believe him. But that doesn’t mean that the SM7B isn’t useful, or dependable, in the studio. In my experience, it is. Second, Swedien has said himself that he used the mic on most of the songs, but not all. 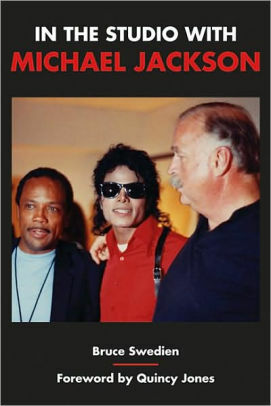 In his book, “In the Studio with Michael Jackson“, Swedien recalls that he definitely used it on ” Billie Jean”, “The Way You Make Me Feel”, and all of Vincent Price‘s voice-over work the song “Thriller”. Even if it were just those, that’s pretty impressive for a dynamic mic!! 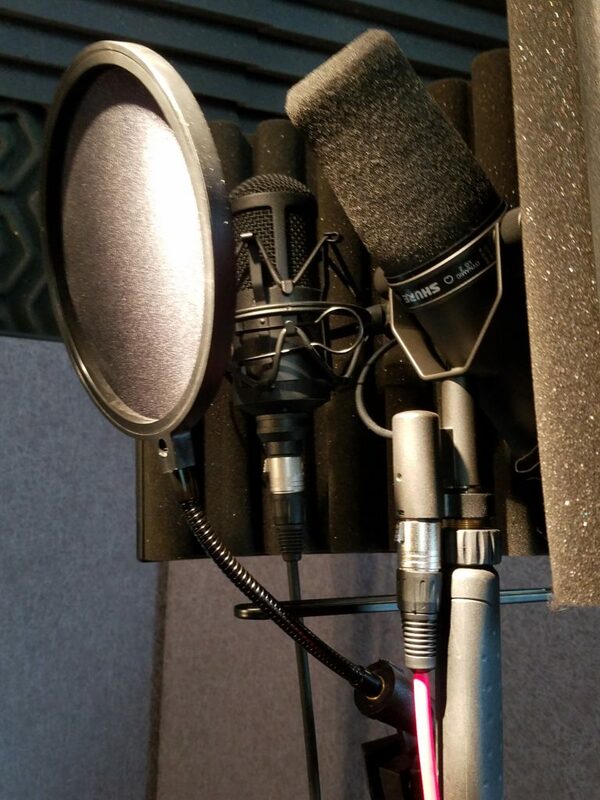 The remainder of the songs were tracked using a Nuemann U-87 mic. Think of that! Arguably the greatest pop artist in the world sang, on his most popular album, through two mics: one that cost over three grand (the u-87) and one that retails, today, (the SM7B) for under $400!! Wow. This must be why artists like “The Weeknd” are today still using it, all the time. And since their albums are also at the top of the charts, well… I think they’re onto something, don’t you? There is one shortcoming to the SM7B – it’s low output. 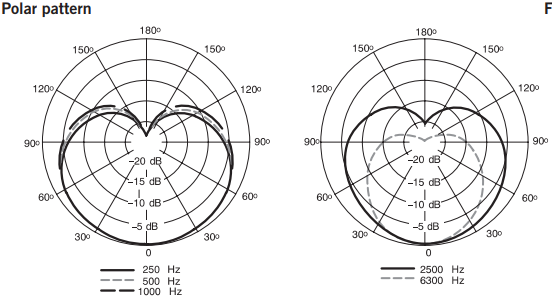 This is “par for the course” in dynamic microphones; they just don’t put out a lot of signal. And what is the natural by-product of that?? It means that you have to have some type of mixer, preamp, or gain staging device to boost its signal. If you don’t, you’re going to deal with that dreaded pro-audio headache… NOISE! The first thing I heard when I listened back to my voice, recorded through the SM7B, was substantial noise. And I had even run it through my Apollo Twin interface which puts a LOT of gain at my disposal. I knew immediately that, if there wasn’t a fix for this, I was taking it right back to the store. The music we create these days is too digitally clean for that to be acceptable. 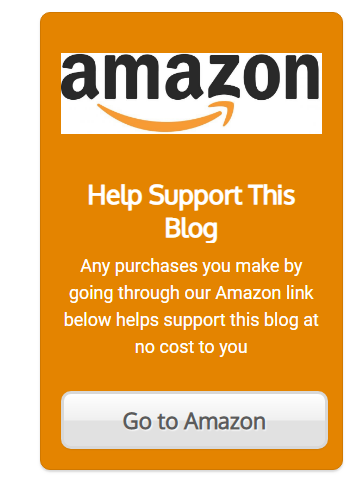 Luckily, I then hooked up the Cloudlifter (which I reviewed in THIS POST!) and it took care of the problem in a BIG way. I mean, this thing really made all the difference. It was not subtle at all, what the Cloudlifter accomplished and, in the final analysis, I had a great, clean, clear signal to work with. I used NO processing, either in the Apollo or in Pro Tools, on any of the individual recordings. What you hear is exactly what the mics provide and nothing else. As well as a very slight and fast plate reverb to “put ’em in the same room”. 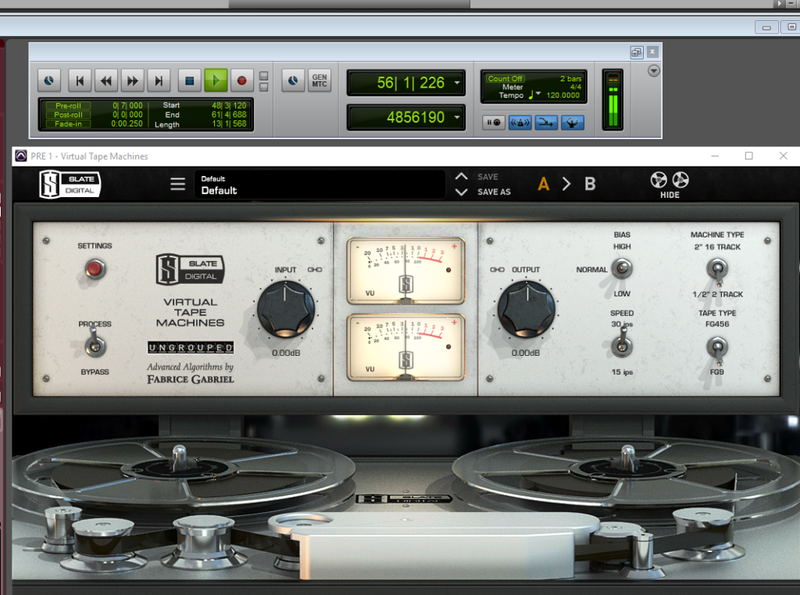 Finally, I put on the mix bus the same thing I almost always do: this fantastic tape machine emulator by Slate. 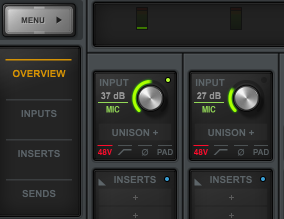 LOVE THIS PLUG-IN!!!! Enjoy the results. I can’t wait to hear what you think of the differences! First off, in this test I think the Cloudlifter makes this mic SO much better. Do you see that amazing reduction in gain??!! I got a 17 dB reduction. Did that affect my noise floor?? You bet it did! I couldn’t hear the awful hiss anymore. Problem solved!! You’re getting too much low-frequency noise coming through your signal, e.g. mic stand bump noises. You’re NOT getting as much “body”, or “sheen”, that is, mid to high-frequency content in your signal as you’d like. If the first is your issue, you can simply engage the high-pass filter switch. It rolls off the bass quite well, starting at 400 Hz and sloping downward. Unless you’re a real bass-y singer, or prefer a lot of low end in your voice, this filter will clean things up for ya without getting into any territory that normal vocals might occupy. If that sparkly second problem is what your ears want fixed, you’ve got a really useful “Presence” switch on the bottom too. It gives quite a significant bump in the 1k – 9k region. Here’s a little recording I did to let you hear exactly what each switch will do to your sound. 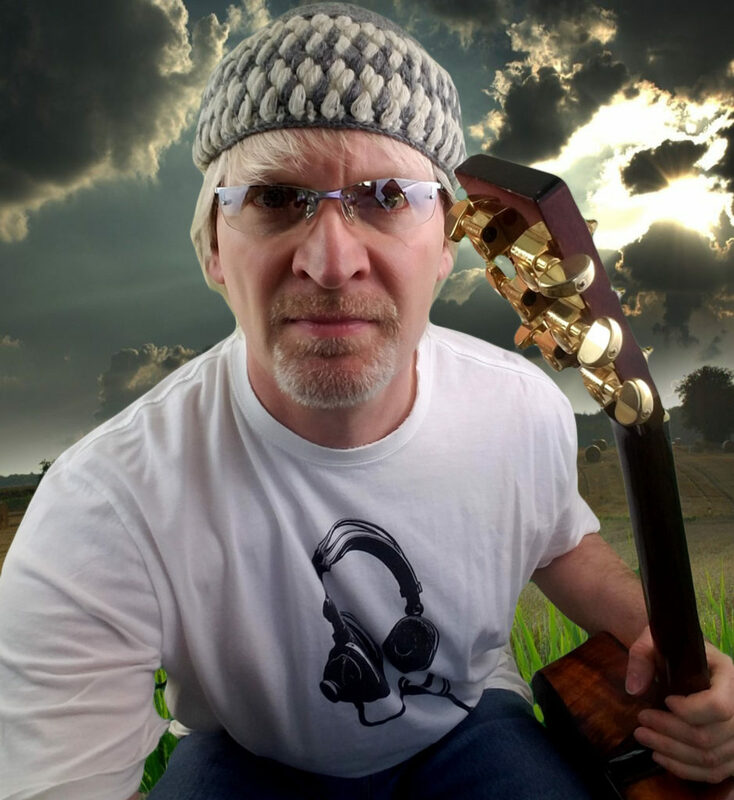 Headphones, of course, will do it the most justice, so… don those cans and push play! So what’s my final verdict on the SM7B?? It’s this: without the Cloudlifter, I probably wouldn’t use it. With the Cloudlifter, however, it’s absolutely a great transducer that I expect to use in a great number of signal chains for years to come. I’ll probably also use the high-frequency boost switch quite often, depending on the instrument. You can really hear the difference when it’s engaged, and since the mic has a darker, rounder sound to begin with, that switch adds a lot of versatility. Is that what you would do? Do you prefer different settings? Or completely different mics?? Have you used the SM7B on any recordings we can hear??? Let us know by dropping us a Comment. Besides getting to know you, we can get to know your music too! Neumann certainly has “legendary” status, but you sure PAY for it. Not everyone can spend THOUSANDS of dollars on a single mic. The SM7B, and others like the Aston “Spirit” mic that I REVIEWED HERE, allow the rest of us to have GREAT sound with a LOT less money! Thanks for sharing this excellent product . 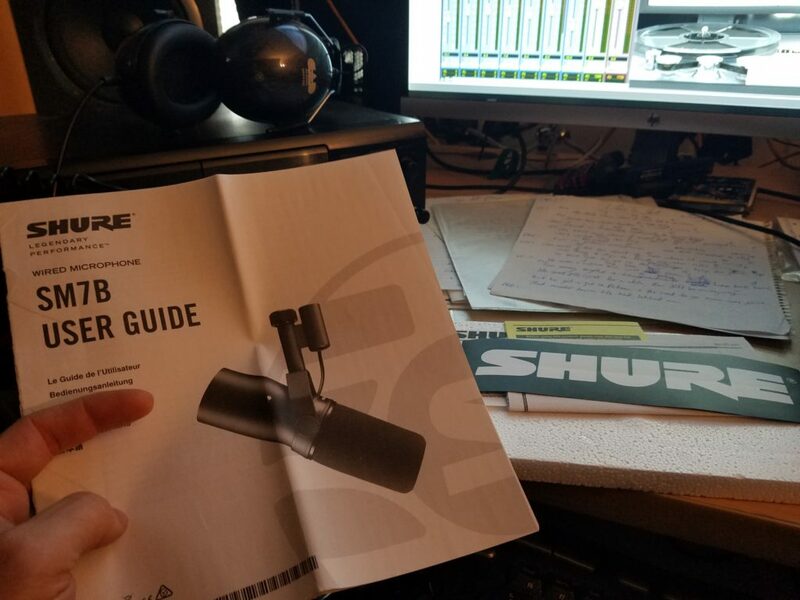 Shure SM7B is a legendary high end dynamic microphone , often used for radio stations . Many people believe that to get the best sound it is somewhat mandatory to use only the expensive condensers like Neumann and similar . I will share it with my all friends . It will give you a good representation of whatever sound you want to capture. Just make sure you to get it with THIS CLOUDLIFTER! 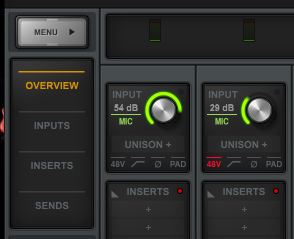 It really sounded too noisy for digital music production without it. Great question, Ezra. I guess I should do an article on that!! If you buy a USB mic, it’ll be plug and play – you’ll need nothing else. The drawback is that many USB mics are not nearly as good at picking up audio signals cleanly and with impressive subtlety as XLR mics. The Yeti has mostly positive reviews, so I can’t say it’s bad, but I probably wouldn’t use it myself. The reasons? I have yet to hear anyone in the industry say any USB mic is better than an XLR condenser mic. If you DO go with a USB though, I’ve heard more positive things about THIS MLX MIC over the Blue products. Best thing to do is buy any mics you think will make your voice sound amazing, test them, then keep the one that “wins” and return the others. I do this all the time and, as long as the products stay in new condition and you keep the receipt, the stores give me no problems. 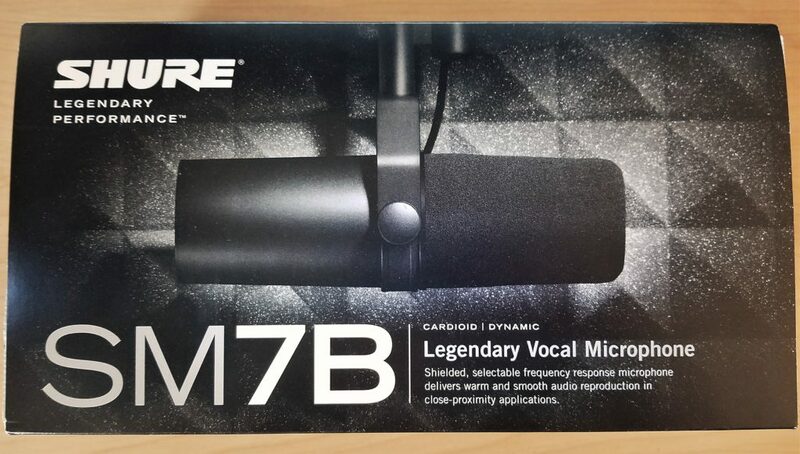 Imagine getting your hands on the Shure SM7B used by Micheal Jackson himself, that would just be amazing. I am used to doing a lot of shouting and recently I got to try out the SM7B and it was really fantastic but it does seem to be pretty expensive. I have made use of other mics and some sounded pretty close to the Shure SM7B but it does seem like this is a mic that is just in a whole different level. Even if I have to do extra jobs to earn some extra cash I am most certainly going to get my hands on this. It was just so amazing. Brilliant review! I’m an amateur music producer and am looking to buy a real mic coz the mic I’m using is extremely poor. I’d be better of using tins to record. What do you think about this one vs the Yeti USB microphone? This mic seems like its massively of better quality but I just want to make sure before I commit to buying a mic. Have to admit sound wise not so bad for the cost! Being one who always uses headphones when listening to music I found this fairly clean with not much background noise filtering in. Did not know that it was used in the Michael Jackson “Thriller” recordings so that was a bit of valuable information to know. I must admit with the cost of the SM7B as long as it is properly set up with the right software then you are going to be able to record really good acoustics. For myself personally the cost would be the deciding factor and fell that this mic is worth what they are asking for it!